Casual cuisine is one of the fastest growing segments of American business. And that's why now is an ideal time to think about owning a Rascal House Pizza franchise. Rascal House is casual cuisine at its best! And it's a franchise system that works! We can help get you into this rapidly growing business quickly and affordably. Fact is people love our product, whether it's pizza, grinders, salads, wings, or any of our other healthy and tasty menu selections. The choices are perfect for today's consumer. And they know they can depend on clean stores, friendly associates and on-time pick-up or delivery of fresh, piping hot pizza every time! Industry experts to guide you through site selection, training, and start-up. Excellent marketing support and any other help you may require to simplify running your store and making it a financial success! Assistance with third party financing. Rascal House Pizza is respected throughout the community. We intend to keep it that way no matter how much we grow. That's why we're looking for qualified, reliable, trustworthy individuals as our franchise partners to share our vision. Our unique concept in fast casual cuisine makes us stand out in a very crowded pizza marketplace. It takes more than the ability to make great pizza consistently to win our consumer's hearts it takes the Rascal House "best when shared with friends" approach in everything we do. Our training program teaches you the secrets that make the Rascal House Pizza brand an unrivaled success and an ideal business model. Rascal House Pizza is committed to providing our franchisees the assistance they need to ensure a smooth and successful restaurant opening. We provide a comprehensive hands-on training program, on-site, at one or more of our stores. All franchise partners are instructed in the essentials of restaurant operations, labor management, administration, marketing and a broad range of other subjects needed to successfully operate their Rascal House Pizza store. Our program consists of approximately 6-8 weeks of hands-on training in both operations and classroom settings. The Rascal House Pizza commitment to quality and value extends far beyond our "best when shared with friends" philosophy. Rascal House Pizza offers training materials and uniforms as well as print and promotional items to franchisees. We will assist you with local area marketing and help coordinate your store's opening. We provide guidelines for advertising, promotions, and the utilization of our trademarks. Advertising and promotional material will be created for you to use in your own Rascal House Pizza store. At Rascal House Pizza our relationship with our franchisees is a true partnership. We realize that both corporate and franchise teamwork is vital to the success of the Rascal House Pizza brand. Consistent implementation of our time-tested and proven strategies, by all partners, will be the cornerstone of your success. Our field directors will assist you in all aspects of your store. From the initial development and training to ongoing support, we are with you throughout the entire process. In order to help facilitate this partnership, Rascal House Pizza has formed the Brand Partners Intranet. This online site includes a Message Board to discuss operational issues, the business environment, company standards, growth strategies, etc. 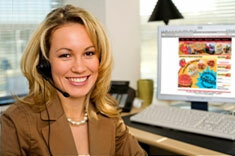 All franchisees have direct access to this forum that reaches other franchise owners throughout the country. To learn more about the Rascal House Pizza franchise opportunity, simply complete the form below.